What would you do if you were lost at sea? Imprisoned and beaten in an enemy war prison? Losing the love of your life because of your own addiction and anger? In 1949, Louie Zamperini heard Billy Graham preach, and it put all of those experiences in a different perspective. It’s those perspectives he shares in his new book, Don’t Give Up, Don’t Give In, out tomorrow. In 2003, the World War II vet, Olympian, and former P.O.W. collaborated with David Rensin on his autobiography, Devil at My Heels, years before Laura Hillenbrand’s Unbroken would be turned into the upcoming Angelina Jolie-directed drama. The two now deliver a series of anecdotes tracing from Zamperini’s childhood to his life of service, closing with insights from his children, Cynthia Zamperini-Garris and Luke Zamperini. Zamperini-Garris was kind enough to share some of her thoughts on her father’s new book and her own experience growing up with a man who is already legendary to some – and will be worldwide by the new year. Which is the greater accomplishment? That a simple guy from Torrance, California, with no interest in learning or running would become an Olympian? That the Olympian would survive plane crashes, sharks, abuse, and torture? That the POW would embrace forgiveness? Or that this man’s story would inspire people he never met? The more I learn, the more I’m inspired. 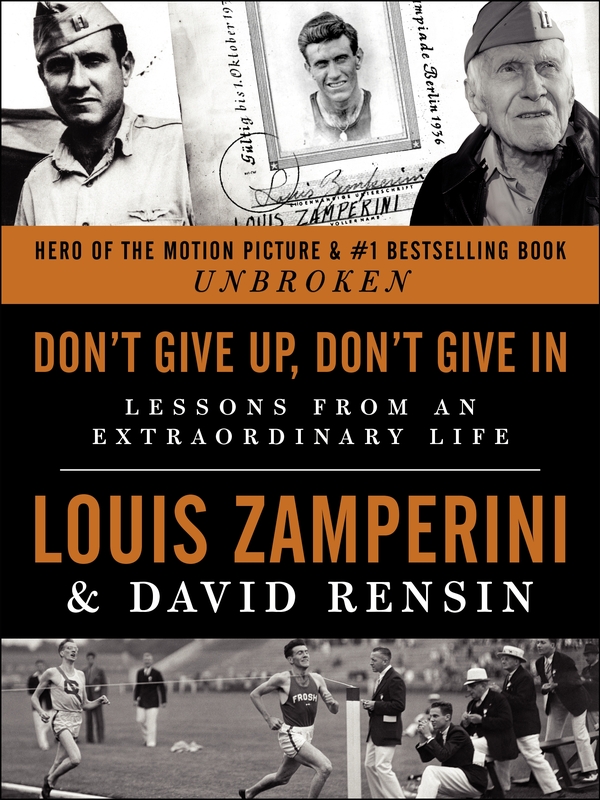 Louie Zamperini’s life was miraculous. And with that miracle, he pointed those who would listen back to the moment of his redemption, meeting Jesus, and invite them into the miracle as well. This entry was posted in Books, Current Events, Interviews, Pop Culture, Reviews, Sports, Theology and tagged Angelina Jolie, Cynthia Zamperini-Garris, David Rensin, Louie Zamperini, Luke Zamperini, plane crash, POW, The Bird, Unbroken, USC, World War II. Bookmark the permalink.